Sliding side doors and no central pillar mean unimpeded access. Five star Euro NCAP rating. 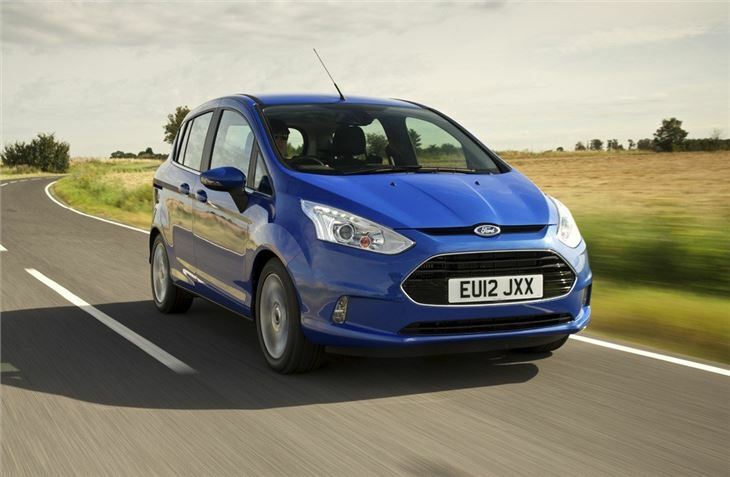 Engines include 1.0 litre three-cylinder EcoBoost petrol. Decent drive. No models under 100g/km. Doors are thick and subsequently heavy to close. Cluttered centre stack. Numerous Powershift clutch pack failures. Production ended September 2017. 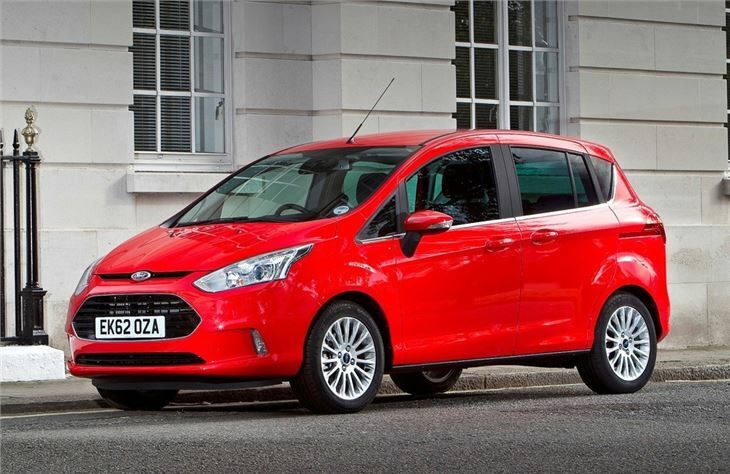 Judder reported from Powershift transmission of 2015 Ford B-Max at 9,000 miles. 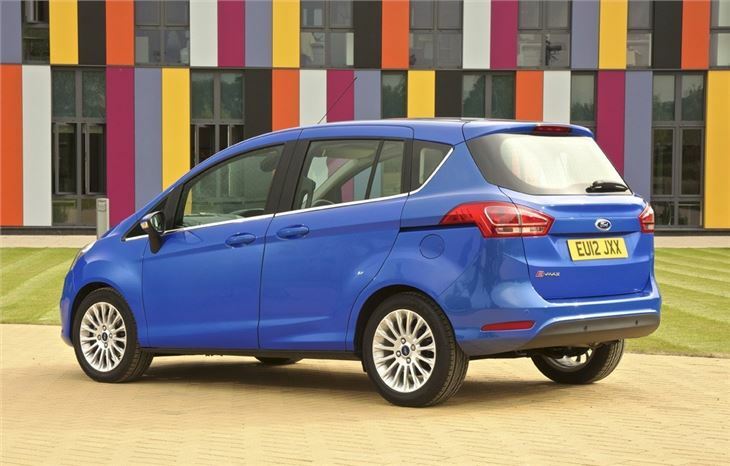 The B-MAX is Ford's answer to small MPVs like the Vauxhall Meriva - a practical family car that blends plenty of exterior space with a compact, hatchback-like footprint. 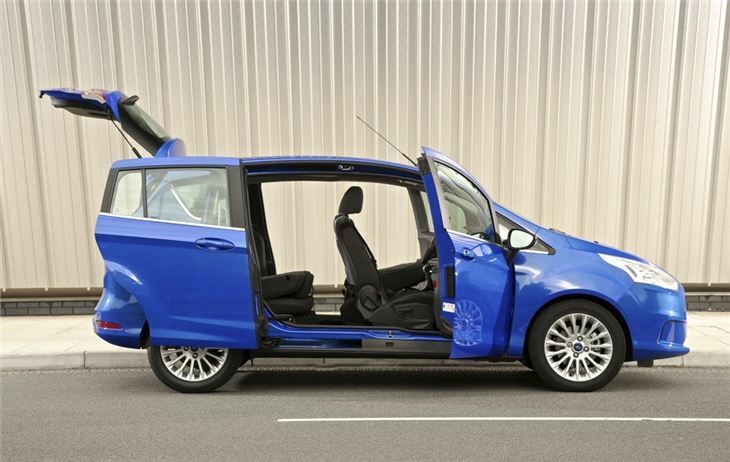 But unlike the competition, the B-MAX has a trump card in the form of a unique door arrangement - the rear doors slide open and there are no central pillars between the front and back doors. 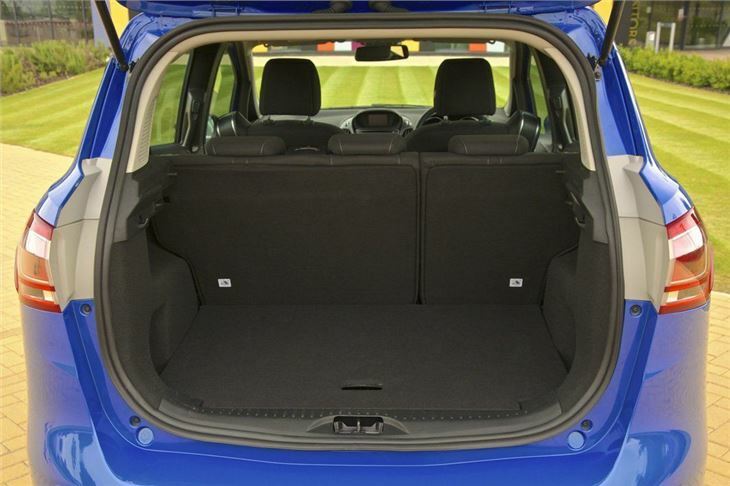 This makes access to the back row extraordinarily easy and means the B-MAX is easily the most practical small MPV on sale. 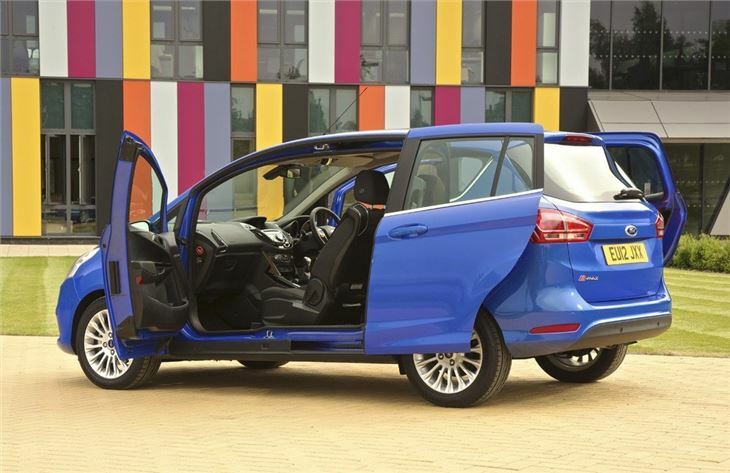 Underneath the fancy doors, the B-MAX is based on the same platform as the Fiesta, so there’s a well-judged balance between ride comfort and nimbleness. 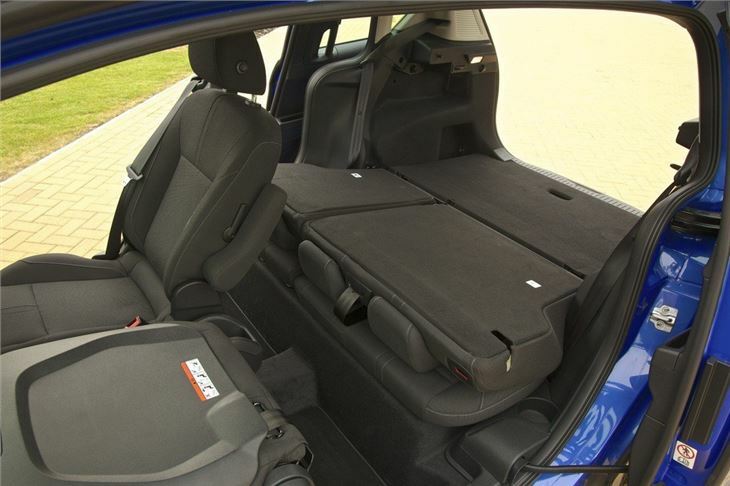 For those moving from a hatchback to a people carrier for the first time the B-MAX is a smart choice. 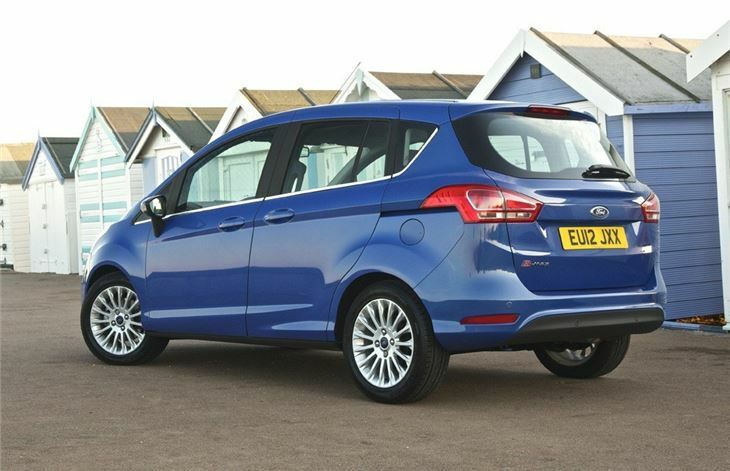 On the other hand, those used to MPVs might find the B-MAX a touch firm. The engine range is broad, kicking off with a simple 90PS 1.4-litre petrol. 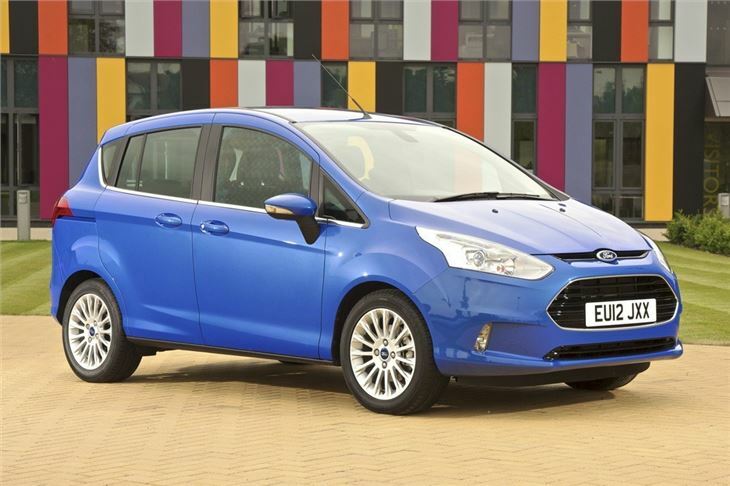 Most buyers will find one of the other engines more versatile though, whether they go for a 1.6-litre TDCI diesel or the 1.0-litre Ecoboost, offered with either 100PS or 125PS. Those who want an automatic are restricted to a 1.6-litre petrol with 105PS, which unfortunately isn’t particularly good when it comes to emissions. 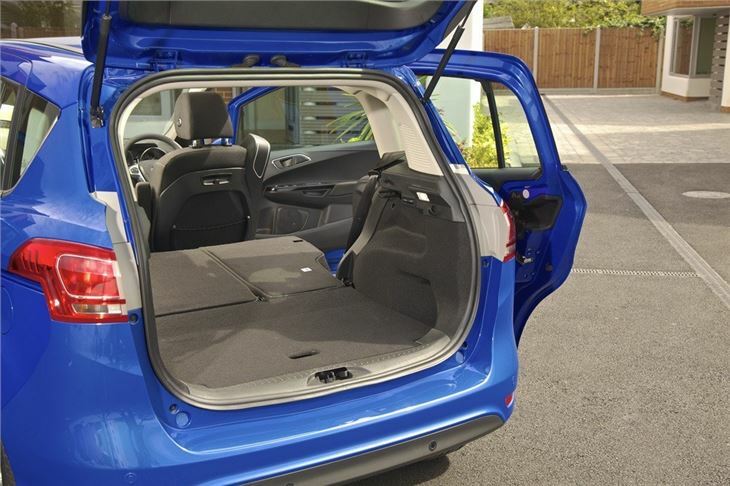 Despite the novel door arrangement, the B-MAX manages a five-star Euro NCAP rating, plus it offers a nicely trimmed interior and a large boot. Luggage capacity is 318 litres with the seats in place, expandable to 1386 litres if you fold them flat, something that’s easy to do. Children or adults will fit comfortably into the back row and – of course – they will have no issue getting in and out. Fitting child seats is a doddle too. 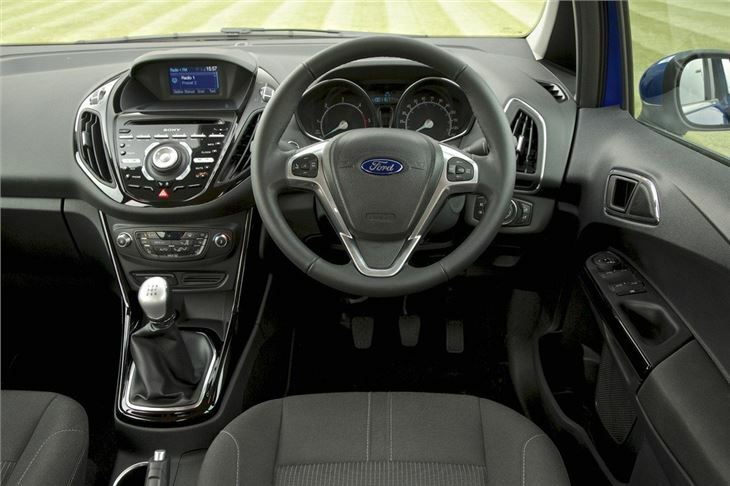 Practicality is further enhanced by plenty of little extra touches like map nets, bottle holders, 12v sockets, big door pockets and a wide-angle mirror for checking on the rear seat passengers. 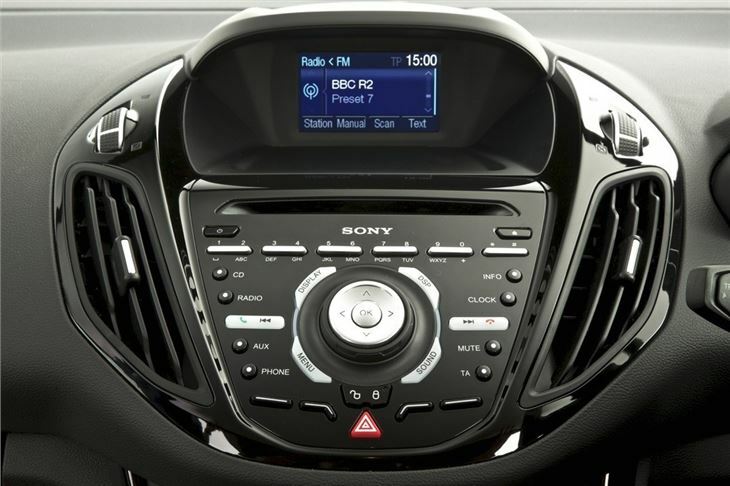 Altogether the B-MAX is a great package, only let down slightly by fairly high prices, slightly gruff diesel engines and a few confusing interior buttons. Nice to Drive. Economy not outstanding. Practical, although doors heavy.